Is it any of your plumbing installations damaged? Do you need a good plumber in Oxford? The daily and careless use of some installations at home inevitably causes its deteroriation. It can leads to expensive and unpleasant surprises. If you have plumbing problems in Oxford and you are looking for a solution, you are in the right place. Some of this damages need to be inmediatly repaired to avoid further problems. For example leak reparations need to be quickly resolved in orther to prevent floods. Water heater repair during winter and toilet rapair also require urgent solutions. Due to this kind of problems, you may be in a rush to find a plumber and you might take a bad choice. Here we offer you some basic clues you have to bare in mind when looking for plumbing services in Oxford. Be careful. The fear of receiving the bill from that plumbing reparation will tempt you to look for affordable plumbing services and you may end up hiring the cheapest service you find. Remeber to ask for proper credentials and see whether the plumber has license, is registered and has insurance. Also try to find out about his experience. An unexperted plumber may cause damages and if he doesn’t have the right licence you will have to cover the costs. The location. Try to find plumbers nearby. It depends on the urgent of the damage but the closer they are the faster they can make it to your house. Get to know everything about the price before hiring. Ask about payments methods and when they expect it. Try to agree a fixed cost since a time payment could cost you more than what you expected because it all depends on how slowly the plumber works. You should be sure about knowing the total cost of the repair. 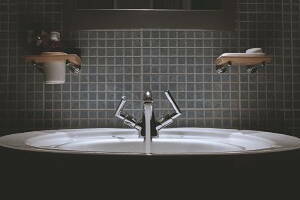 There are some demages such as clogged drain or clogged sink that you might considere easy to repair and try to fix it by yourself. We dont know about your plumbing skills but remember that counting on professionals will avoid future problems. Where can I find the best plumber in Oxford? In Infoisinfo we want to ease your problem and that is why we invite you to have a look at the list we’ve prepared for you with the best plumber services in Oxford. Either you need an emergency plumber or not, here you will find a good option and also valorations and comments from other users that will guide you even more.